In Harnessing the value of ‘failure,’ Brian Jacob describes the high “failure rate” in educational intervention research trials and what can be done to learn more from null results. Jacob’s piece appears in Evidence Speaks, a weekly publication of the Brookings Institution’s Center on Children and Families. “Given the importance of education as a vehicle of social mobility and driver of economic growth, along with the fact that we spend hundreds of millions of dollars on education research in the U.S. each year, it is imperative that we do more to learn from these failures,” writes Jacob. 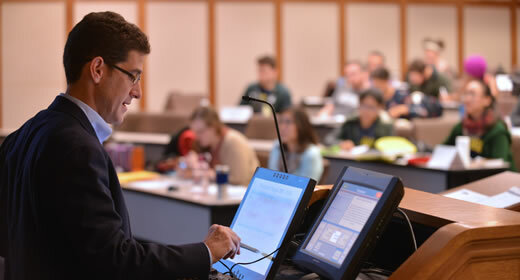 Brian Jacob is the Walter H. Annenberg Professor of Education Policy and co-director of the Ford School’s Education Policy Initiative (EPI), which engages in applied, policy-relevant education research designed to help improve overall educational achievement and outcomes.